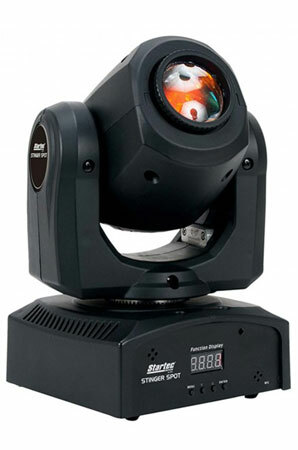 The Startec Stinger Spot is a mini Moving Head with a bright 10-Watt LED source and advanced optics. 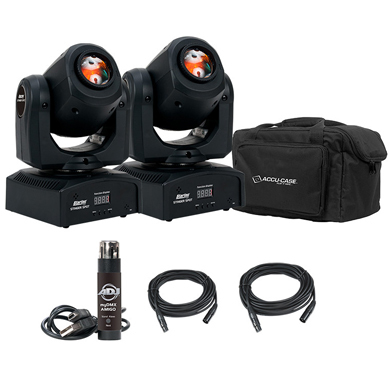 Its compact size and lightweight makes it ideal for mobile entertainers, small club and bars, roller rinks, bowling centers or any mobile production. 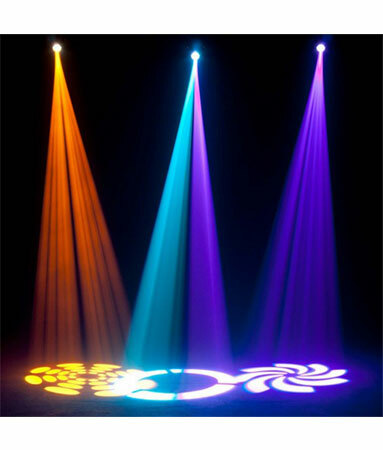 Featuring 7 colors plus white, 7 gobo plus spot and separate color wheels, the Stinger Spot will give pure lighting excitement with its fast moving beams and color changes. It has a pan and tilt inversion mode that makes one head do the opposite of another when linked together. 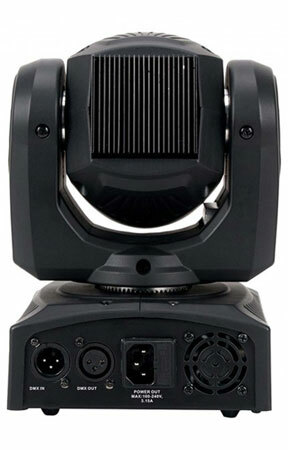 High output mini Moving Head with a bright white 10W LED source. 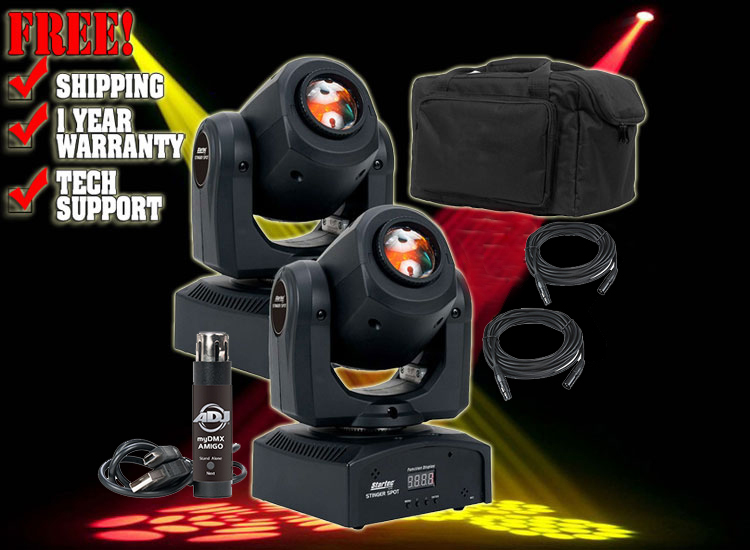 7 fixed gobos + spot. Separate color & gobo wheels. 3 Operational modes: DMX, Sound Active & Internal Show control modes. 2 DMX channel modes: 9 & 11 Channel modes. 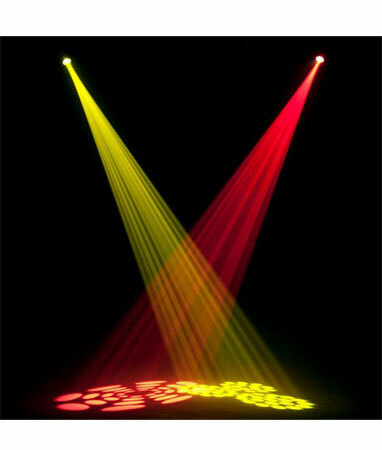 4 Built-in shows Gobo Shake effect. Gobo scroll mode Beam Angle: 13-degrees. 540° pan / 210° tilt (16-bit). 5 selectable Dim Curves (Standard, Stage, TV, Architectural & Theatre). Shutter: Pulse effect; random strobe slow to fast. Linkable: DMX via 3-pin XLR cable. Power Cord Daisy Chain via IEC. Multi-voltage Operation: AC 100 - 240V, 50/60Hz. LED Source: 10W White LED source (Rated at approximately 50,000 hrs). Dimensions (LxWxH): 6.75" x 5.75" x 10.75" / 174 x 145 x 273mm. Weight: 7 lbs. / 3 kgs. 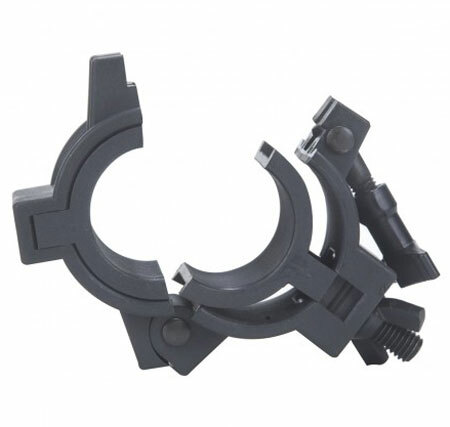 Universal O-Clamp for lighting application. Prolongs Cosmetics of Truss. 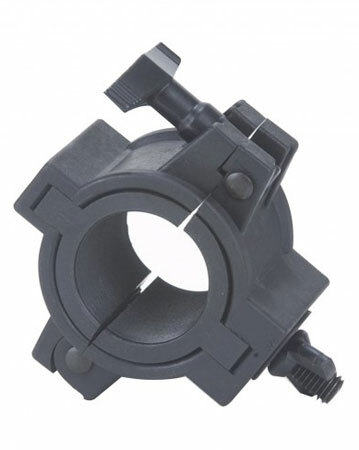 1" & 1.5" / Both Sizes Convert to 2"